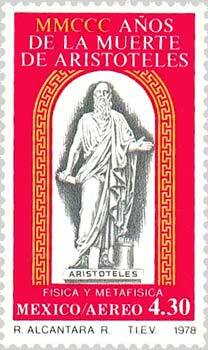 Aristotle (Aristoteles) (Greek: Αριστοτέλης; Αριστοτέλης ο Σταγειρίτης (384 BC  7.3. 322 BC), philosopher, scientist (The Master of those who know), brother of Arimnestus and Arimneste. The man was born, he worked, and then died. Martin Heidegger, German philosopher, A short biography of Aristotle presented in a lecture. Aristotle was born at Stageira (or Stagira) on the peninsula Chalcidice. His parents were the physician Nicomachus (working for the Macedonian King Amyntas II) and Phaestis (his mother who died when he was a child). At the age around ten also his father died and the orphan Aristotle lived with his uncle Proxenus of Atarneus who was also his teacher in rhetoric and poetry. At the age of 18 he went to Athens where he was a student of Plato working later in the Academy until the death of his teacher. Probably he was dissapointed that not he but Speusippus, the nephew of Plato, was appointed as the next director of the Academy after Plato and so he left Athens and he went to the court of Hermias in Asia Minor. There he worked for around three years until the death of Hermias of Atarneus. 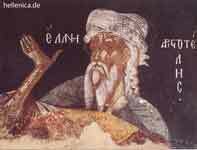 He went for 1-2 years to Lesbos (where he did some biological research) and returned to Stageira after King Philip II asked him to work as a teacher of his son Alexander the Great (343 BC). 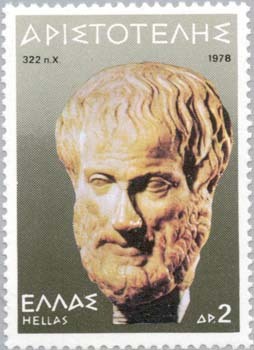 Aristotle returned to Athens after Alexander started his expedition against Persia. He opened a school in Athens which was dedicated to Apollo Lykeios and for this reason known as the Lyceum (also known as the Peripatic School because Aristotle prefered to discuss problems walking with his students and others). After the death of Alexander the Great he left Athens since some Athenians were against Alexander and again Aristotle who was supported financially by Alexander. 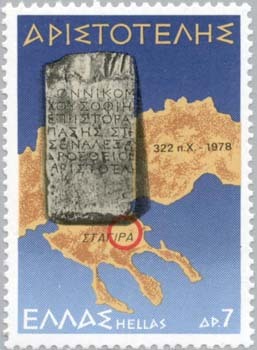 Aristotle went to Chalkis / Euboea (the birthplace of his mother), where he died one year later. His original books, written mainly in the period of the Lyceum, some in the form of dialogues, all lost. His work is mainly from lecture notes compiled by his students. For some period these written manuscripts were hidden by Neleus and his family (in order to prevent to be taken by the Attalids of Pergamon for their libraries) in a vault, or a cellar (together with the works of Theophrastus) in Scepsis. With some modifications almost 2 centuries after his death a collection, known as Corpus Aristotelicum published that contains probably also some additional work of students of his school. Aristotle had a child, Nicomachus, with Herpyllis, his second wife after his first wife Pythias, the niece of Hermias, died during the Lyceum years. Reading the parts of his work that survived we understand why Aristotle was one the most important universal scientists of all time (if not the most important). 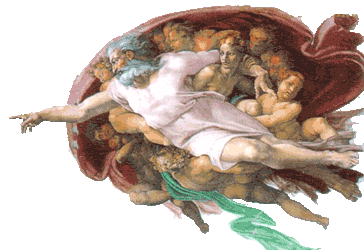 His work was almost forgotten because his ideas about God (The unmoved mover) were not conformal to Christian religion as that of Plato. 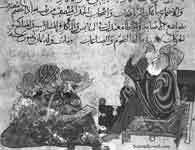 Around the 12th century again he was rediscovered and his work was recognized and scholars transformed his ideas almost into a religion. The irony is that Aristotle was considered responsible that his wrong ideas delayed the development of science. The scholars did not apply the method of Aristotle to start with a review of the work of others with comments which ideas and why are wrong, a method usually followed in every scientific publication today. Most of his errors (but not only) were about physical /natural phenomena. 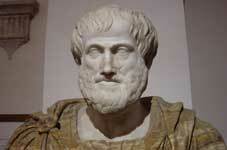 Only more than 1500 years after Aristotle's death real experiments were performed. Part of the lectures notes, remain of an estimated 400 - 1000 works of Aristotle (dialogues) all lost. Anagnostopoulos, Georgios. Aristotle on the Goals and Exactness of Ethics. Berkeley: University of California Press, c1994 1994.